but mine are—more often than not—packed full of everything I don't have time to get done during the week, especially when I've been out of town for a long time. I spend a few hours each day catching up on work and personal emails I don't have time to get to during the week, and I usually try to get coffee or dinner with friends in between running errands and hitting the gym or Soulcycle (sometimes both in the same weekend!). If you've never been to a Soul class, let me clue you in on a little detail—you usually leave looking a sweaty mess. It's a great way to judge how hard a workout you got in, but it's not so great when you're planning to head out in public afterwards (and equally not great when you're trying to keep your skin zit-free, something my skin has struggled with lately). Clearsil recently sent me some samples of their newest Superfruit cleansers in their Daily Clear line to help me #WinTheDay (even on a busy weekend), and I'm hooked—my skin feels smooth and fresh afterwards, and I've even gotten a few compliments on how bright my complexion is, which I know is not related to my current sleeping (and beverage consumption) habits. 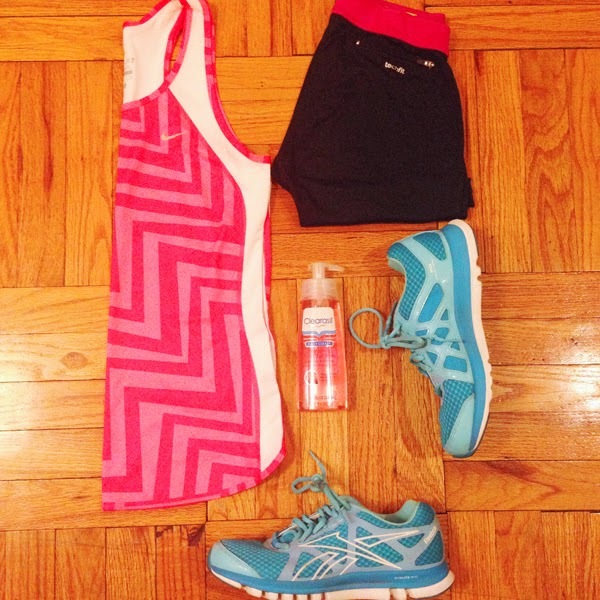 The cleansing pads are my new go-to when I'm in a rush, and I've slipped a bottle of cleanser into my regular gym bag stash. Clearasil is also offering a chance to try their new Superfruit line for free; you can find the line at just about any drugstore, and download the rebate form here. If you're looking for a new cleanser, I definitely recommend giving it a try—I've been a fan of Clearasil products since my teenage years (chlorine is really NOT your skin's best friend when you're a teen #swimmerproblems). 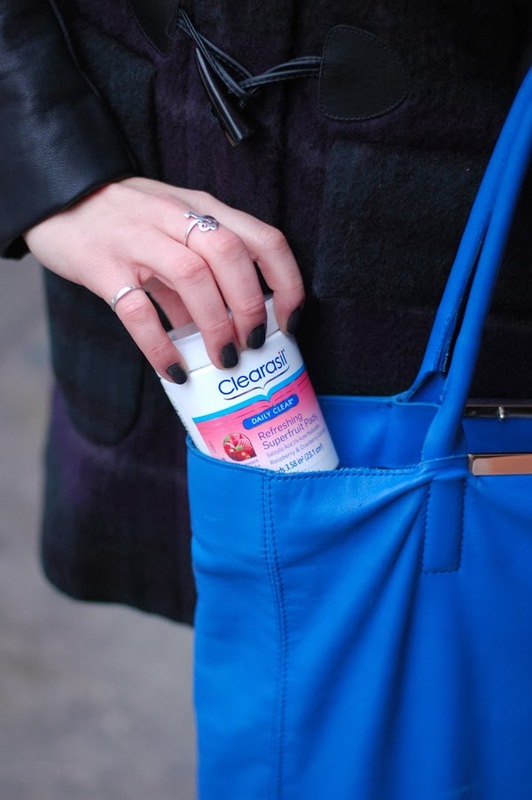 *This post is sponsored by Refinery29 & Clearsil, a brand I have used for over a decade. Thanks for supporting the brands that make Blonde in this City possible!